Want a truly unique invitation? 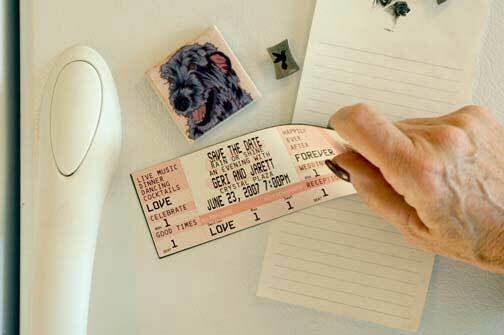 Your guests will love getting these personalized authentic ticket invitations in the mail. Each ticket invitation is 2" tall by 5.5" wide. Ticket invitations are available in blue, light blue, green, pink, red, purple, yellow, orange and grey. Each invitation comes with a 5 3/4" x 4 1/2" color coordinated envelope. Grey tickets come with white envelopes. 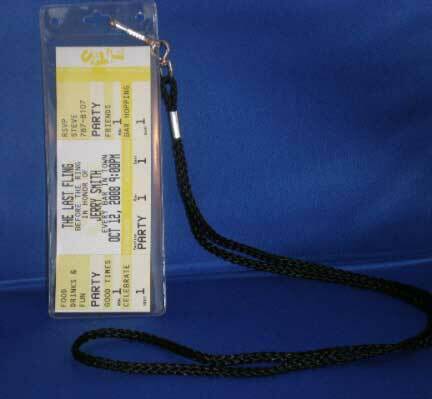 Tickets are personalized for your party! You will see a proof as you design your ticket. 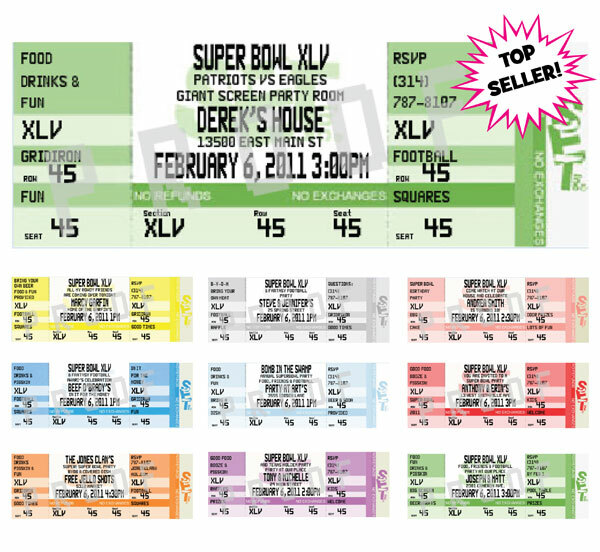 Use your tickets as a seating card. Add each guests name and table number or name for an additional fee. A western style football banner! 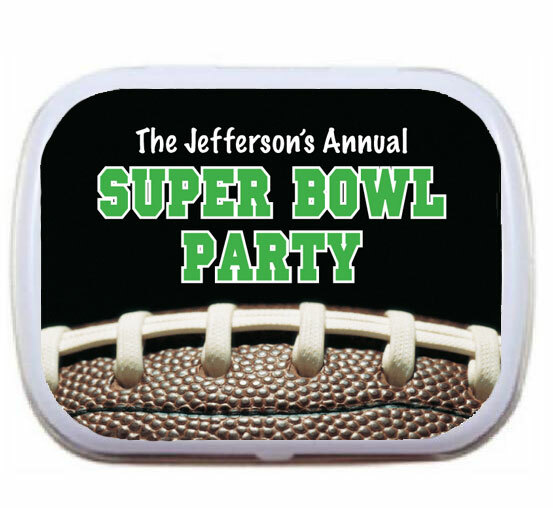 Football Party Mint Tin A custom candy tin makes a great favor for your Super Bowl party or any football theme celebration. Football Texas Style Theme Candy Bar Wrapper Everything is bigger and better in Texas! 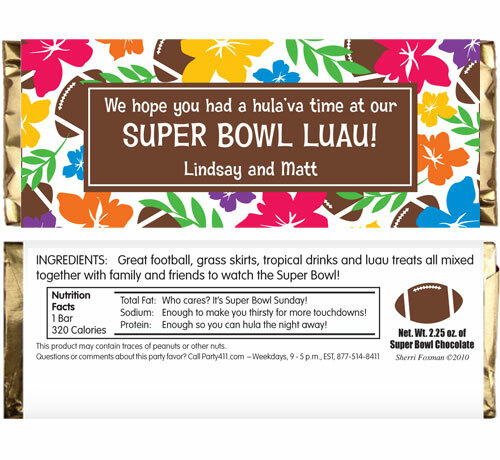 Super Bowl Luau Theme Candy Bar Wrapper Perfect for a luau theme super bowl! 2019 Super Bowl 53 Invitation Perfect for Super Bowl LIII! Football Texas Style Invitation Perfect for Super Size Super Bowl!